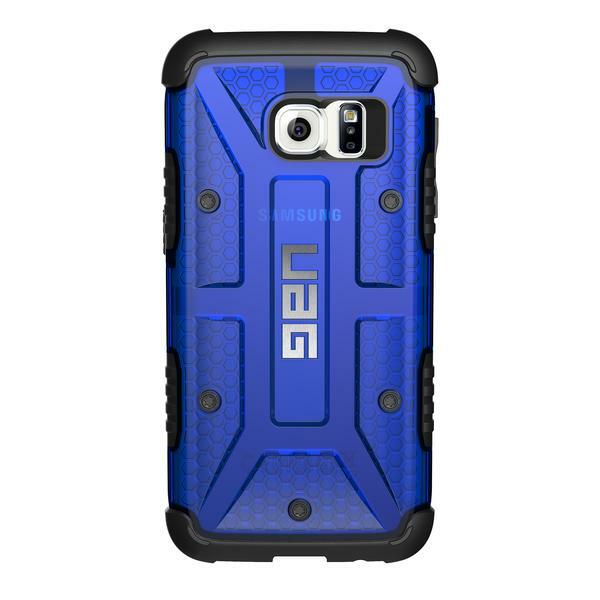 If you own a Samsung Galaxy S7, then you most likely will want to get some kind of case for it. While the Galaxy S7 is a lot more elegant and upscale now than in the past, the all glass rear doesn’t inspire confidence when dropped. Not only that, that’s now two glass surfaces you have to try and protect from scratches and chips. With that said, I’ve been rocking Urban Armor Gear’s latest case for the Samsung Galaxy S7. I was impressed with the one I tried and still have on for the iPhone 5 SE so decided to go this route with my Galaxy S7. Since my phone is of the Gold Platinum variety, I decided to go with simple black for the case color. The Urban Armor Gear case is a composite case made of two different kinds of materials fused together to form a single case. 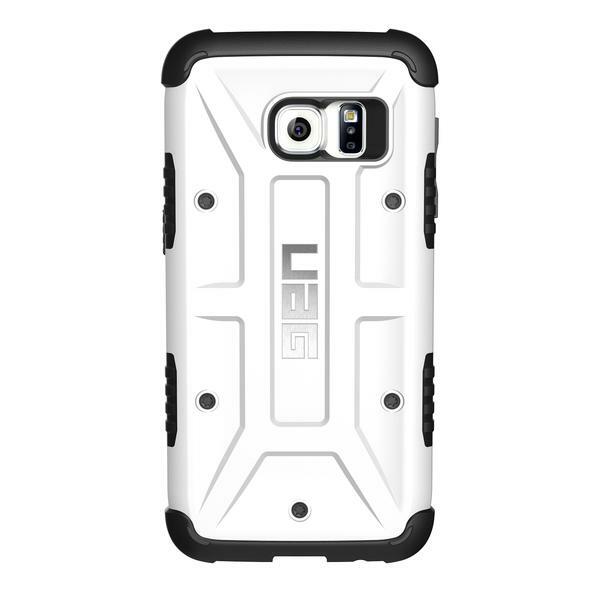 That means that with this case, there is a hard armor shell fused with an impact resistant soft core. Installing the case is as simple as pushing your Galaxy S7 into it and once it’s on, it’s as snug as a bug. The impact resistant layer can be seen surrounding the borders of the phone which will help with edge drops. As an added layer of protection, the actual corners are also thicker to provide more protection for those fragile areas. There are even little rubber feet extensions built in to lift the device up a bit in case of accidental spills. The hard shell wraps around the back of the case and the sides and helps protect your device from hard bumps and everyday use. The shell also has a grooved pattern which helps you grip your Galaxy S7 better when in use. The hard shell is where you can also choose the color you want which adds a bit of flare to the whole thing. This case does solve one of the biggest complaints I had about the Galaxy S7 too in that with the case on, I no longer have to worry about greasy fingerprint smudges on the back of the device. 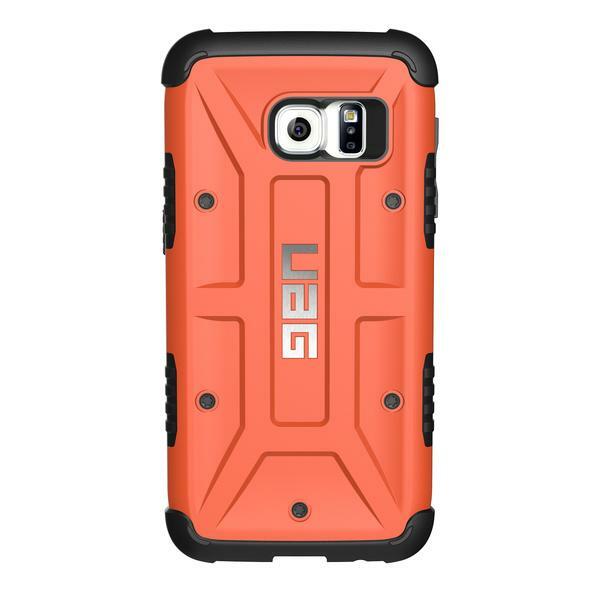 The UAG case has built in buttons to make accessing the power and volume buttons easier while the large port holes means nothing is blocked. One problem I see with some cases are that not all charging plugs will fit. The UAG case doesn’t have this problem. 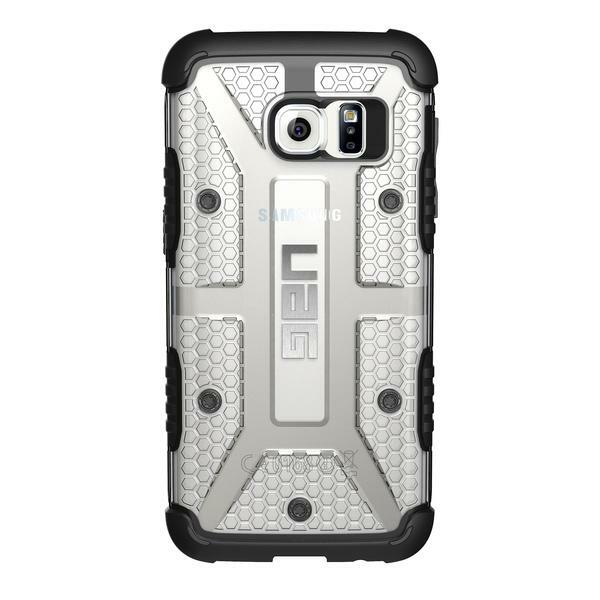 Lastly, this is a major thing for me, the UAG case DOES NOT USE any soft touch coatings or silicone materials. This is huge because I hate that stuff. Soft touch can turn sticky after a while and silicone is a lint magnet. Both those things aren’t present here and because of this, already shoots the UAG case to the top. 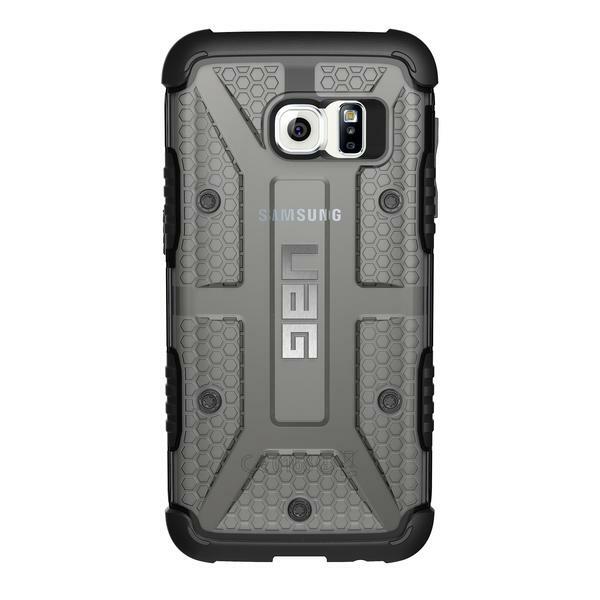 Overall, I’m really digging the Urban Armor Gear case for the Samsung Galaxy S7. It has all the protection you’re looking for in a rugged case in a very stylish and attractive package. This is a good looking case that should provide all the protection you need especially for those with an active lifestyle or those who are just plain clumsy.